This species was first described by Dr. Fumio Maekawa in 1936. They are of variable proportions between miniature and small size plants and may grow up to 12 inches high by 31 inches wide under cultivation. It has shiny green, lance shaped leaves that have blunt bases. They bear purple, funnel shaped flowers with purple anthers in September. This species sets viable seeds. The Genus Hosta by W. George Schmid (1991), says that this species is known as the "small rock hosta" in its native Japan. The species epithet, gracilis means gracefully slender which refers to its long, slender flowers. H. gracillima is sometimes confused with H. venusta "...but the flowering scape of H. gracillima is smooth while that of H. venusta has ridges, and this difference can serve as a positive identifier." 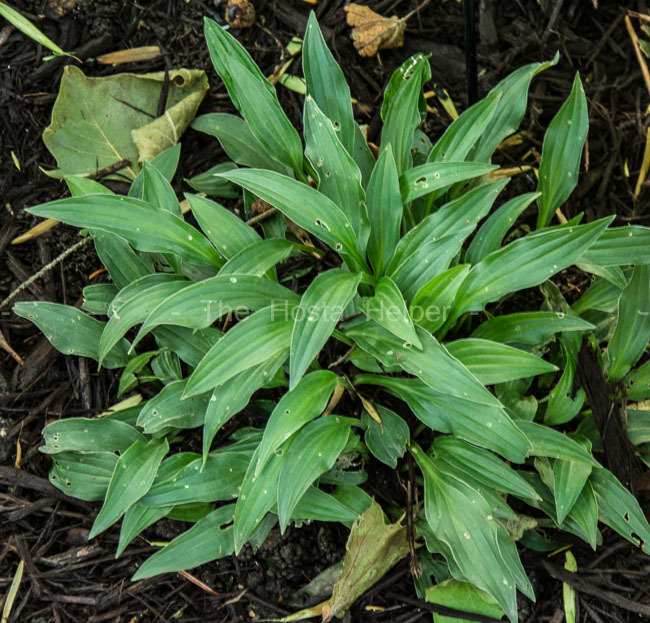 From the Field Guide to Hostas by Mark Zilis (2014), "...offers a combination of a very dense mound habit, small size, good growing habits, and late-blooming flowers. The latter characteristic should not be overlooked because there are few plants for the shade garden that bloom so late in the season." The New Encyclopedia of Hostas by Diana Grenfell (2009) states in its Miniature Hostas chapter: "Site in light to moderate shade at the front of a raised border with accompanying small plants or, better still, in a dedicated border with other mini hostas, such as blue-leaved H. 'Bill Dress's Blue' or the green margined, yellow-centered H. 'Cracker Crumbs'. Just as delightful grown as a single specimen in a container. The parent of a number of other miniature hostas." 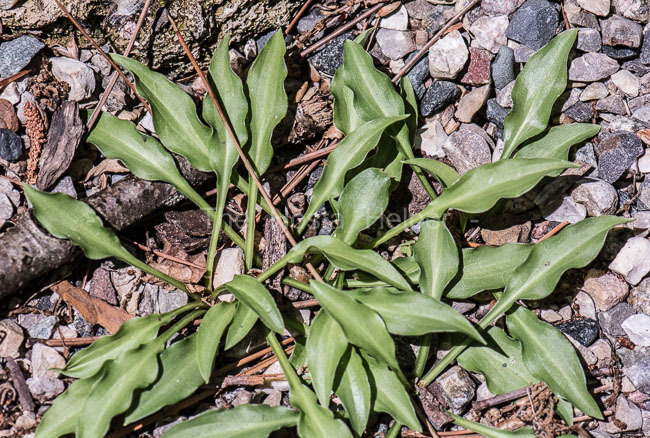 Mark Zilis' Field Guide to Hostas (2014) states that this species was found in Japan on "...hillsides..."
5) H. 'Iwa' Iwa means rock, and this plant was imported by Marjorie Soules, from Japan . It is a small green plant with lavender flowers.